The greatest thing about science is that it relies upon evidence, while building the body of evidence over time. We know that evolution is a fact, not because of one piece of data, but because of thousands of individual data points over nearly 150 years. The body of evidence supporting HPV vaccine effectiveness, though not at the level of evolution research, is, nevertheless, robust and broad. A new study suggests that the HPV vaccine effectiveness is much higher than originally believed, as shown by the reduction in the incidence of cervical neoplasia (including pre-cancers) since the introduction of the HPV vaccine.This is pretty exciting news. Let’s take a look at the recently published paper that supports improved HPV vaccine effectiveness. I know, I’ve written about this vaccine 100 times – however, this might be your first bit of research into the HPV vaccine, so here’s a brief overview. If you’ve read it before, just skip to the next section if you want. Let me make this simple. There are only a handful of ways to actually prevent cancer, and drinking a blueberry-kale-protein shake is not one of them. Gardasil-9, the current version of the HPV cancer vaccine, protects teens and young adults from 9 subtypes of cancer-causing HPV, which leads to lower risks of more types of cancer. So, if you’re looking for an effective and inexpensive way to prevent a few of the 200-250 cancers that afflict humans, Gardasil is one of your best choices. That why I call it the anti-cancer vaccine. A new study, recently published in JAMA Oncology, examined the population-based trends for cervical intraepithelial neoplasia (CIN), potentially premalignant transformation and abnormal growth (dysplasia) of squamous cells on the surface of the cervix. The study data was adjusted for changes in cervical screening practices that overlapped with HPV vaccination implementation, which commenced in 2007. The study used patient data from the New Mexico HPV Pap Registry, located at the University of New Mexico School of Medicine. The registry captures population-based estimates of both cervical screening prevalence and CIN – it was used to compute CIN trends from January 1, 2007, to December 31, 2014. Among female individuals 15-29 years old, the registry showed that there were 13,520 with CIN grade 1 (CIN1, which represents the least risk and most mild form of cervical dysplasia), 4,296 CIN2 (moderate dysplasia), 2,823 CIN3 (severe dysplasia, generally described as cervical carcinoma in situ). The researchers adjusted for confounders, such as changes in cervical screening during that period (so that artificially high or low changes would be eliminated). The incidence of CIN showed significant reductions in individuals 15 to 19 years. For CIN1, the annual percentage change (APC) was -9.0%. For CIN2, the APC was -10.5%. For CIN3, there was an incredible APC of -41.3%. In other words, since the introduction of the HPV vaccine, in that age group, the incidence of cancerous or pre-cancerous lesions dropped significantly for each grade of CIN. That’s an incredible reduction. But there’s more. Reductions in CIN2 incidence were also significant for women 20-24 years old with an APC of -6.3%. There were also observed decreases in CIN1 and CIN3, but they weren’t statistically significant. For women 25 to 29, the CIN incidence increased, mostly because of better screening and the unavailability of Gardasil for this age group prior to becoming sexually active. Simply put, their results state that getting even partially vaccinated with the HPV vaccine was effective in improving the clinical outcomes of CIN. Yes, HPV vaccine effectiveness has been established again. [infobox icon=”quote-left”]After eight years of vaccination, the reduction in the incidence of cervical neoplasia [abnormal growth of cells], including pre-cancers, have been reduced approximately 50 percent. This is greater than what was expected — that’s pretty exciting. 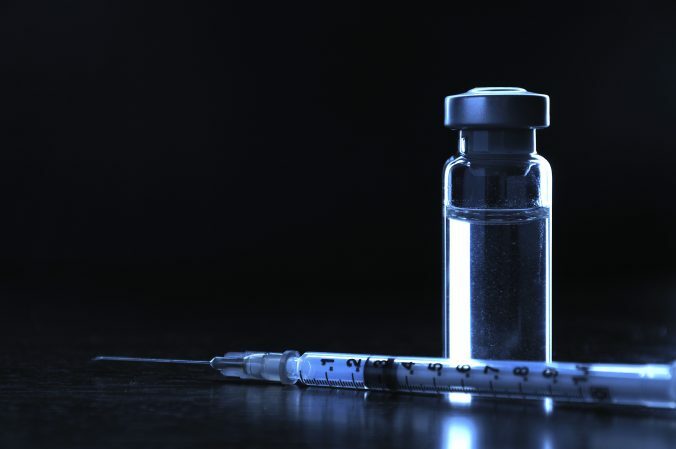 Although this is not the first report to show the effectiveness of the vaccine, it’s the first to show declines in precancerous lesions across a large population. The researchers also found that the reductions in the number of precancerous lesions were greater than anticipated. This study even took into account changes in Pap test screening over the last 10 years. Despite this study, and many more, regarding HPV vaccine effectiveness, uptake of the cancer preventing vaccine remains stubbornly low in the USA – around 40% for girls in 2014. Part of the reason for the low rate of Gardasil vaccination are things like myths and rumors about the vaccine. There’s the old “Gardasil will cause my children to be sexually active.” Your children are going to be sexually active with or without Gardasil, so it’s best to protect them. But there’s no evidence that Gardasil leads to increased sexual activity. I’ve debunked dozens of false claims about Gardasil, but of course they keep coming. Recently, Medscape, mostly a reliable source, wrote an irresponsible click-bait with this title, “Chronic Symptoms After HPV Vaccine: Part of Wider Syndrome?” The claim was based on some awful research that has been debunked so many times, why do we even bother? Paul Offit, MD, one of the leading researchers and experts in vaccines, had to write a letter to Medscape to dispute their unfounded claims. Dr. Offit stated that there are no established links, including causal ones, between chronic fatigue and Gardasil. None. This same terrible science was the basis for Japan’s recent decision to not recommend Gardasil any more. Dr. Offit also stated that Medscape highlighted an anti-HPV vaccine article which “falls under the same category as the syndrome described by Andrew Wakefield—that the MMR vaccine caused intestinal symptoms and autism, which also was thoroughly debunked.” On the scale of condemning science, there’s nothing more critical than comparing it to what that fraud Wakefield gave us. We have more and more scientific evidence that the HPV vaccine effectiveness leads to fewer cases of various cancers. Go for your GMO-free kale smoothie, but it’s not going to prevent anything but enjoying a meal. If you really want to prevent cancer, Gardasil is one of your really few choices today. To deny your children the chance to avoid a serious cancer based on nonsense and ignorant beliefs is outside of my ability to understand. Just stop. Think. And vaccinate your children, or yourselves, against HPV. It’s the right thing to do.